There's almost no question that North Carolina-based duo The Foreign Exchange love D.C. They routinely work with local artists such as Zo! (check Zo! and Phonte's humorous remake of "Return of the Mack") and YahZarah. Last year, the guys scored a Grammy nomination with Three Star alumna Muhsinah for the song "Daykeeper." And lest we forget, they've been gracious enough to speak with DCist on two previous occasions. 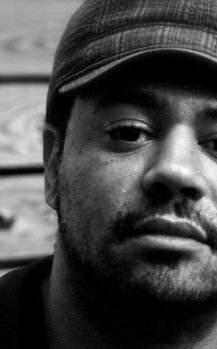 But if there's any other reason to like MC/vocalist Phonte and Dutch-born producer/instrumentalist Nicolay, it's that they make incredibly good music. Their third album, Authenticity, continues down a similar path blazed by their last release, Leave It All Behind. However, as they describe it, Authenticity is a little more stripped down than their previous offerings. What remains constant, though, are fantastic sonic arrangements and some quite adept songwriting which, for example, makes the "odd guy gets dream girl" trope seem fresh and probable on "Maybe She'll Dream Of Me." Regardless, it's apparent that a relationship born out of mutual respect for each other's work and facilitated by the Internet has blossomed into a full-blown musical operation that's garnered a worldwide fan base and critical acclaim. 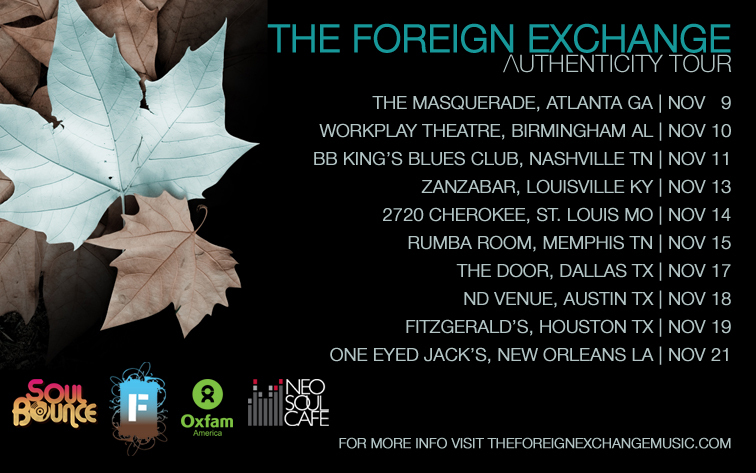 Tickets on sale now for The Foreign Exchange's Authenticity Tour 2011 at Double Door, Chicago IL on May 13, 2011! The Foreign Exchange are an extremely talented duo consisting of singer Phonte and producer Nicolay. After releasing their first album together in 2004 and switching genres in 2009, their latest album, Authenticity, shows once again great growth from the group. It's no surprise that it placed at #12 in our top 50 albums of 2010; "From romanticizing to reminiscing, philosophizing, glorifying, and degrading love it seems the album glides along on elegantly like its skating on ice." In our conversation with the duo, we've talked about their upcoming projects (Phonte even dropped a release date! ), working with The Based God, Internet as a promotional tool, Nic's passion for collecting vintage synths, their relation with film, and much more.